Personal Injury & Probate Litigation Lawyer in Northwest Georgia - David J. Blevins P.C. Personal Injury — I pursue full and fair compensation for personal injury clients hurt in auto accidents and through the negligence of others. Clients of mine have obtained successful results in auto accidents, medical malpractice, civil rights, and slip and fall litigation. Probate Litigation — For many families, probate disputes aggravate an already stressful situation. I assist clients with will contests and questions about administrator and executor liability. Business and Other Litigation — A significant portion of my practice involves disputes that arise in the business or commercial context such as disputes between business partners or between business entities. Insurance Coverage — Often insurance companies wrongfully deny coverage. I have experience bringing cases to hold insurance companies accountable for their contractual obligations under the policy. Wills and Trusts — I draft wills and trusts and healthcare directives and assist with estate administration. Business Law — To help corporations, partnerships and limited liability companies thrive, I provide sound counsel on a wide range of business matters. Practice Territory — If a case involves a substantial amount of money, I will travel considerable distance. I have taken cases as far away as El Paso, Texas and Minneapolis, Minnesota. When I take cases out of state I engage local counsel. Most of my cases are in Northwest Georgia. I appear in courts in the following counties (city where the court sits): Whitfield (Dalton), Murray (Chatsworth), Catoosa (Ringgold), Walker (Lafayette), Gordon (Calhoun). It is also not uncommon to find me in Bartow (Cartersville), Rome (Floyd), Dade (Trenton), Fannin (Blue Ridge), Gilmer (Elijay). In addition to state courts, I maintain an active federal practice. 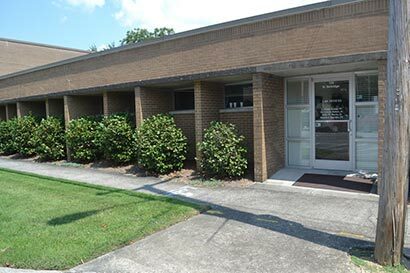 Most of my federal cases are filed in the Rome division of the Northern District of Georgia. To schedule a consultation with attorney David J. Blevins, call 706-671-2615 or contact us online.